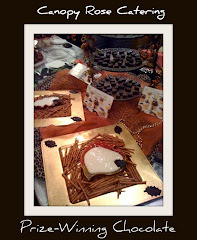 What do these three delicious hand-crafted culinary treats have in common? 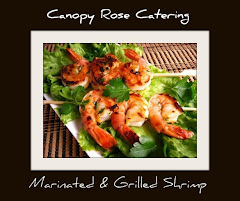 They are part of the fabulous menu of food from Canopy Rose, a Tallahassee-area catering company. 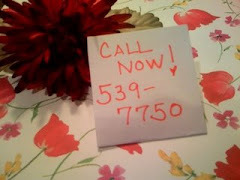 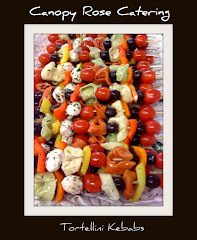 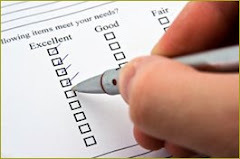 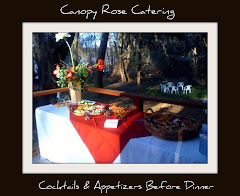 Planning a Tallahassee area event where catered food is needed? 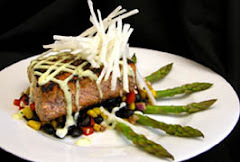 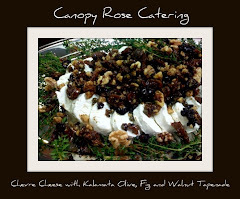 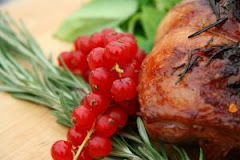 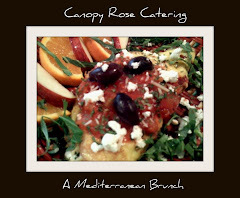 The Canopy Rose Culinary Arts Studio and Catering Company offers delicious and diverse menus. 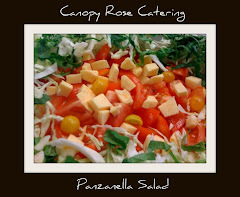 Whether your tastes are for a classic favorite, tried-and- true meal or a trendy treat, Canopy Rose will deliver. 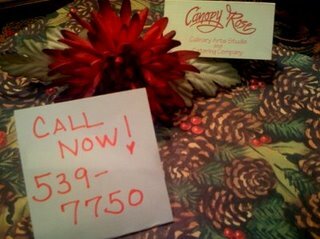 In the early 1990's Canopy Rose chef/ owner, Kathi Dameron started serving her famous Pasta Square Casseroles from her first commercial kitchen in the Eastwood Pharmacy, in a space as tiny as a tea loaf, cut in half. 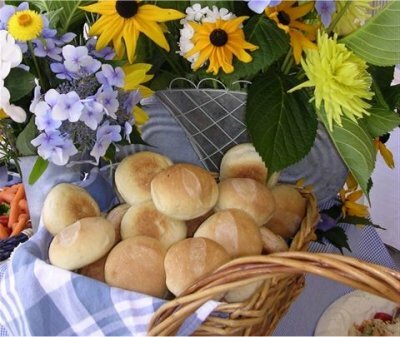 From those humble beginnings, Kathi prepared food for a notable list of famous Floridians. 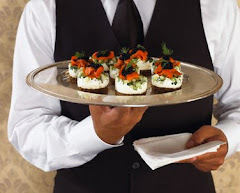 The most famous of which at the time was the late Governor Lawton Chiles who would send a staffer over to pick up one of Kathi's unique daily specials to take along on his private plane as he traveled the state on official business. 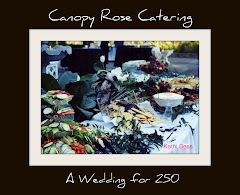 As Kathi's business grew, so did her catering facilities. 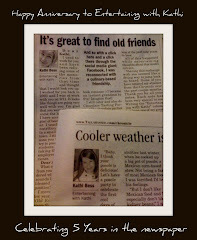 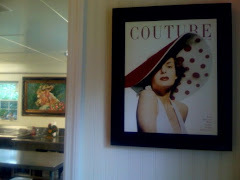 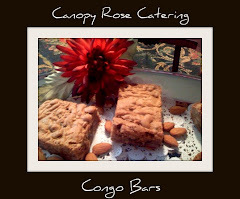 In January 2008, Kathi opened shop in her fifth catering location. 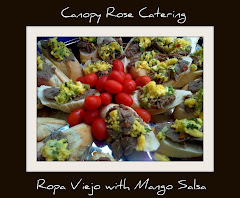 Canopy Rose is now once again available to cater your office luncheons, beach parties, open houses, political fundraisers, black tie galas, wedding receptions, rehearsal dinners, graduation parties, breakfasts or banquet dinners. 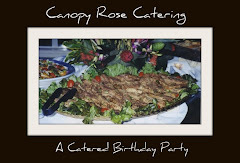 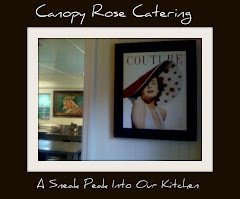 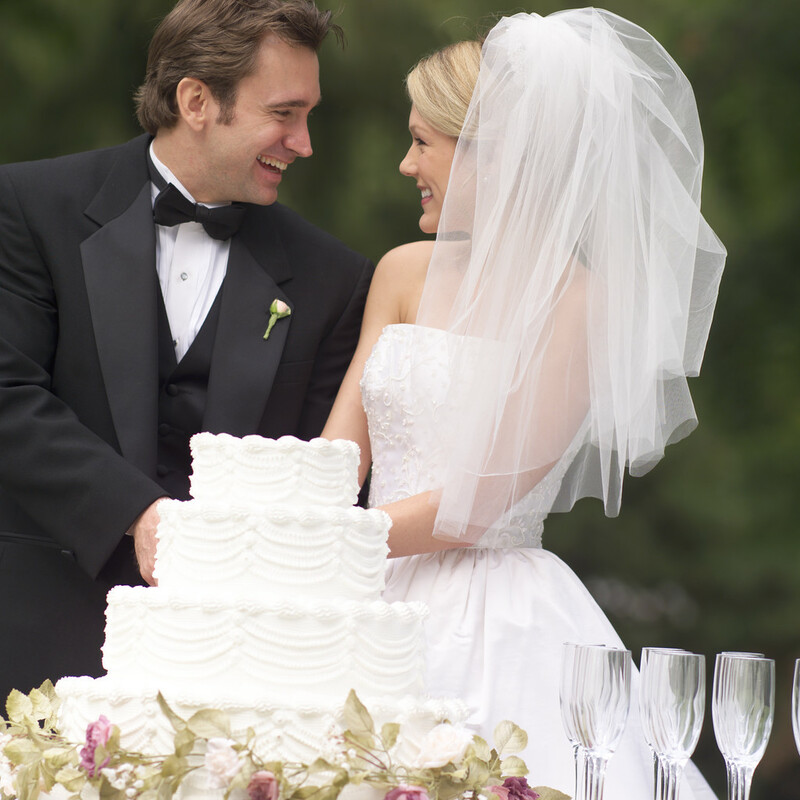 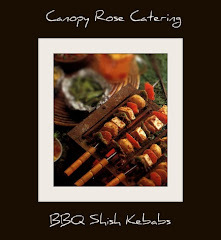 Canopy Rose is a DBPR Licensed and fully- insured catering operation. 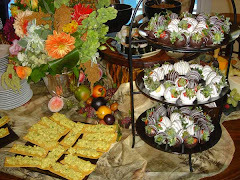 While we have catered exquisite meals for groups of thousands on a number of occasions, smaller groups of 25 to 250 is more typical in this market. 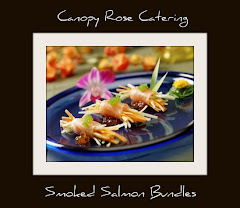 Canopy Rose has also catered elegant and indulgent dinners for small, intimate groups such as romantic wedding proposal celebrations, family engagement parties and other once-in a lifetime events. 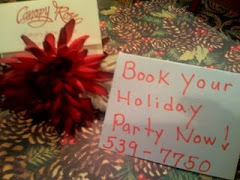 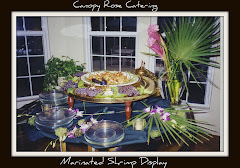 For menus, pricing and availability contact the offices of Canopy Rose at 850-539-7750.